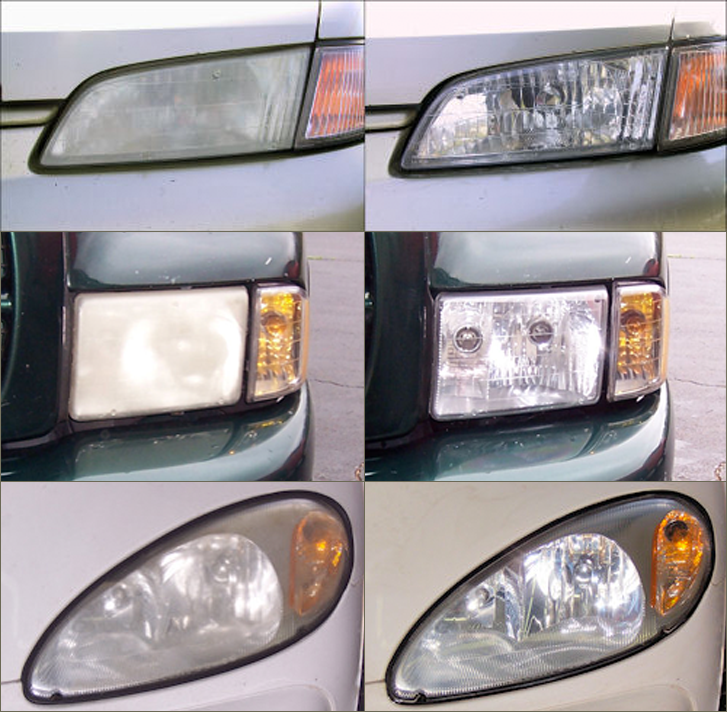 Headlight Magic allows anyone to restore foggy, hazy, yellow headlights to like-new condition. The best part is that anyone can do it in about 20 minutes. Why do headlights turn yellow and foggy? Over time, your headlights are exposed to the suns rays, flying debris, bug guts, salt... you name it. Your headlights become scratched, pitted, and oxidized. The great part is that it is only on the surface and is easy to remove. How do you restore the headlights? Restoring headlights is not rocket science. All you have to do is remove the yellow, foggy, crusty surface. 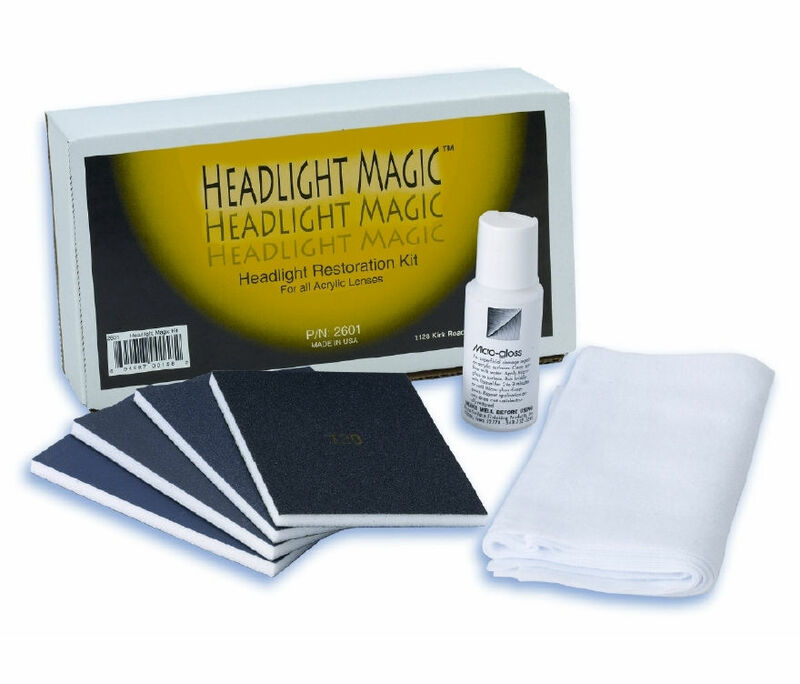 You could even restore your headlights without buying Headlight Magic Headlight Restoration Kit. All you need is several grades of sandpaper and some polishing compound. Sure, you could go to the hardware store and buy all the different grades of sandpaper that you need. You could also go to the auto parts store and buy some polishing compound. But you need to ask yourself... "What is my time worth?" Compare the following scenario and decide which you would rather do. The choice is clear (no pun intended). The best way to restore your headlights is to order the Headlight Magic Restoration Kit.